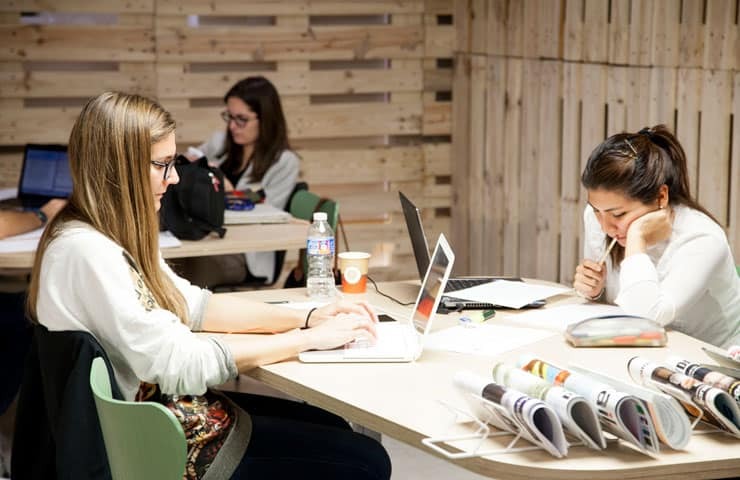 A place to learn in many ways and with many people Our School uses all the possibilities of IE -Madrid and Segovia campuses, study trips and online platforms- to provide exciting and flexible learning options. Learn, collaborate and interact. Diversity among people plus the variety and quality of spaces for learning, collaborating, and interacting, make IE an open and supportive place for studying. The culture of making, integral to our School, means fabricating real objects. For students of architecture and design, it is important to know how to make things, to “think with their hands” and also to understand concepts such as scale, materials and processes. The Fabrication Lab (FabLab), located on the Segovia Campus, is the way to do this. 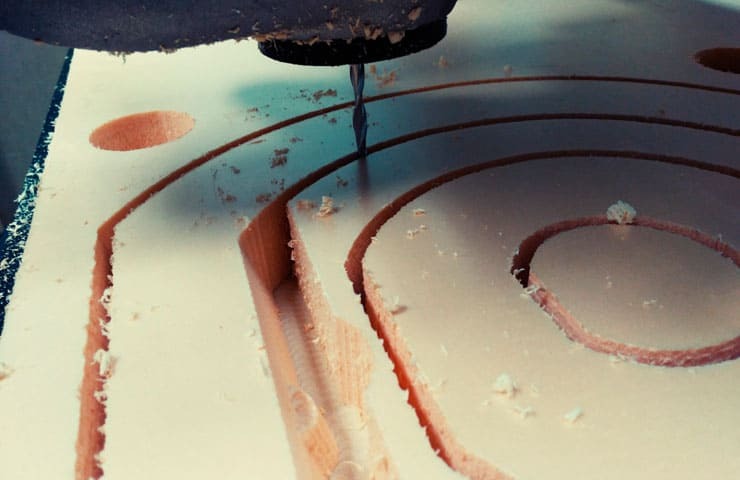 Bachelor degree students are encourged to use the great variety of tools – digital tools (CNC router, laser cutters, 3D printers) and more traditional carpentry and shop tools from their first year at IE. Workshops show how to use the different machines and tools in a safe way. Staff are on-hand offering help advice to students throughout the development of their projects. The IE Library works to support research, teaching and learning, providing easy access to a variety of types of information necessary for students and teachers. There are two centers: IE Business School Foundation, located in Madrid, and IE University, located in Segovia. The IE University Library (Segovia Campus) has a bibliographical collection on architecture, art and heritage, humanities, urbanism, construction and related fields. The collection also includes journals and professional magazines in paper and online formats, videos, CDs, maps, slides and a large number of online resources increasingly important to the architecture field. The participation of IE in several consortia means easy access to additional resources through interlibrary loan and other services. 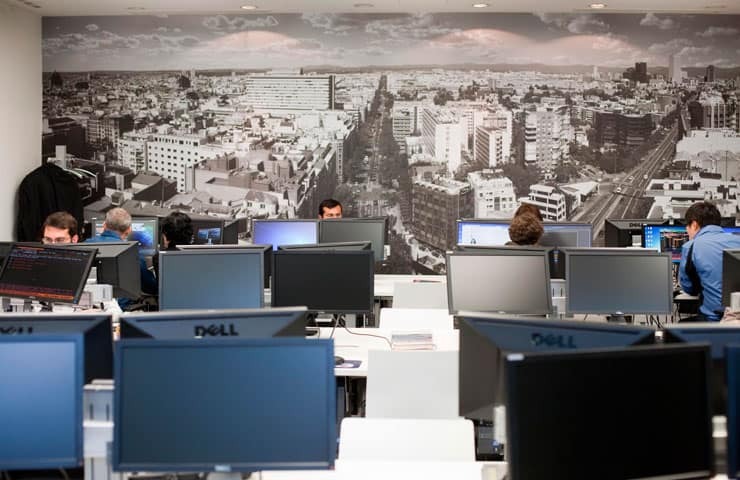 The Madrid campus is a vibrant urban campus distributed among 17 buildings located in the central Salamanca neighborhood, where the School and the city coexist seamlessly. The campus combines cutting-edge resources, specialized classrooms, and modern facilities. Madrid is a city where new ideas take shape due to its cultural, edcuational and economic vitality. A rich historic setting for 21st century education. The IE University campus, in the picturesque city of Segovia, offers a true campus experience. 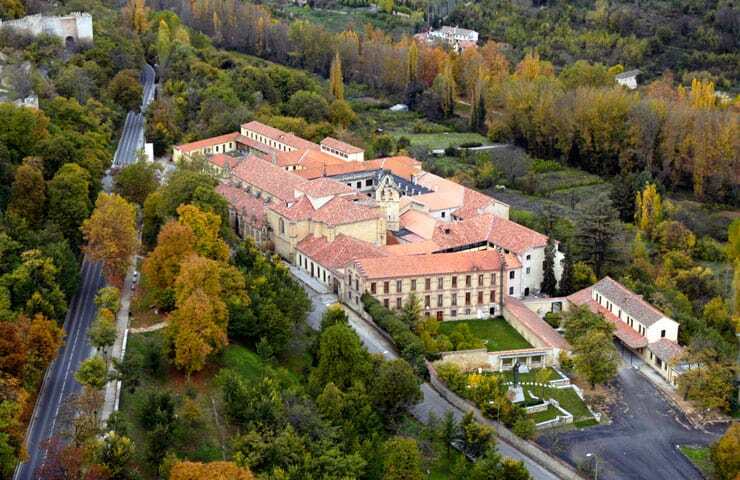 IE is housed in the historic Convent of Santa Cruz la Real. Segovia is only 25 minutes from Madrid by high-speed train, and it welcomes students from over 80 countries to an international university setting, with an atmosphere that is both academic and lively. This campus provides the perfect environment to get to know everyone and become part of a close-knit community. Segovia is a historic city full of narrow streets, an impressive Roman aqueduct, Romanesque churches, and beautiful squares. Additionally, this province of Spain has always been famous for its climate and its traditional cuisine. It is definitely not just a city to be admired from afar, but a great place to live. Explore our facilities in Segovia and Madrid through this campus tour. A virtual space for education. Today, learning can take place anywhere. Technology is a powerful tool that allows students and professors to connect, communicate and interact while at any place in the world. It also means that the best teachers, regardless of their location, can become part of the IE community. IE University’s Online Campus is a virtual space for education, training and research, and the meeting point for the whole university community. A pioneer in blended learning, IE as an institution, and specifically, the IE School of Architecture and Design are constantly seeking ways to invigorate and innovate teaching and learning.